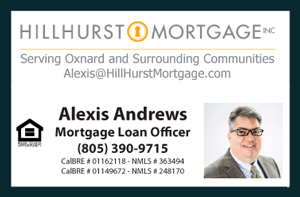 Our agents and I would like to cordially invite all of our neighbors of Oxnard to our upcoming Big Event Free Real Estate Workshop on April 27th 2019 in Downtown Oxnard. The event will take a closer look at the Home-Selling and Home-Buying process to help our local community better understand the challenges and opportunities of such an important topic. This event is ideal for families and or individuals looking to acquire their first home and want to get an idea of where to start as well as better understand what it takes to make that dream a possibility. The first property tends to be the most challenging to acquire. Our workshop will cover key points to keep in mind in order to accomplish such goal. There are also families and individuals that seek to purchase a second home. We will discuss some ideas and tips on how to make that possible and help families grow their Real Estate holdings. Most importantly, the event is also ideal for families that are thinking of selling and want to understand the process with more detail. We will cover critical topics such as how do navigate the market; What is the best approach to pricing; what are the different perspectives of value and how they impact the sale. What are the legal ramifications of selling a property and more. We have invited industry leaders that serve our Real Estate community to be present at the event so that our neighbors may have the opportunity to ask questions directly to those that make the transaction possible such as mortgage financing, home appraisers, insurance companies, escrow and tile, real estate agents and real estate brokers. Also present will be home improvement and home warranty organizations as they also play a big role in helping families ad value to their properties. The event will take place Saturday April 27, 2019 at 9:30 AM in the downtown area of Oxnard, Plaza Stadium 14 which is essentially the Cinemas within La Placita in Oxnard. There is plenty of public parking. Guest may enjoy the surrounding restaurants and coffee shops after the event.